It’s that time of year when my mom starts asking me what I want for Christmas. Is it really the middle of November already? Can we slow down for a minute here? I’ve been living in Christmas-land at work for almost a month now, planning activities for my company’s social networks, trying not to lose my mind while I look ahead to Valentine’s Day and Easter. Yes, I am fully aware that it’s November. With Thanksgiving rapidly approaching and Christmas on it’s heels, here are some things that I’m loving right now. These are either going on my Christmas list this year or I’m purchasing it or making it for someone else. Either way, there’s lots of giving all around! Google Chromecast. Have you all heard of these things? You plug it into your TV (at least I think that’s how it works) and you can control your Netflix and Hulu from your phone, turning your smartphone into a remote! Too cool. Definitely consider this as a gift for the tech-savvy nerd in your life. This North Face. This jacket is on my sister’s Christmas list and every time I look at it, I consider putting it on my own. I’m really loving the Miami Orange. These chalkboard printables. Little Baby Garvin is just a super cute blog all around. I’m not a mommy, nor will I be for a very long time, but her decorating ideas and entertainment tips are very much me. I have her Halloween “Make Believe” image framed right now and I can’t wait to get home and switch it out for the “Eat, Drink, and Be Thankful” print tonight. Groupon. Everything and anything. Massages? Boot camp classes? Weekend getaways? Just sign me up for everything. This crock pot chicken soup recipe. I could eat this everyday. There may or may not be some leftovers in my fridge right now. The fact that I the nutritional stats are so low makes it that much better. Insert happy, non-bloated cartwheels. Combine brown sugar, flour, salt and spices in a mixing bowl. Mix in pumpkin, half and half and eggs. Pour into pie shells. Bake at 400 degrees for 10 minutes, then lower oven to 325 and bake until the middles of the pies are no longer jiggly (anywhere between 35 minutes to an hour.) Let cool completely before serving. Thanksgiving is coming up. Make this pie. Everyone will love you. And finally… This little girl. Meet our new cat, Sophie! 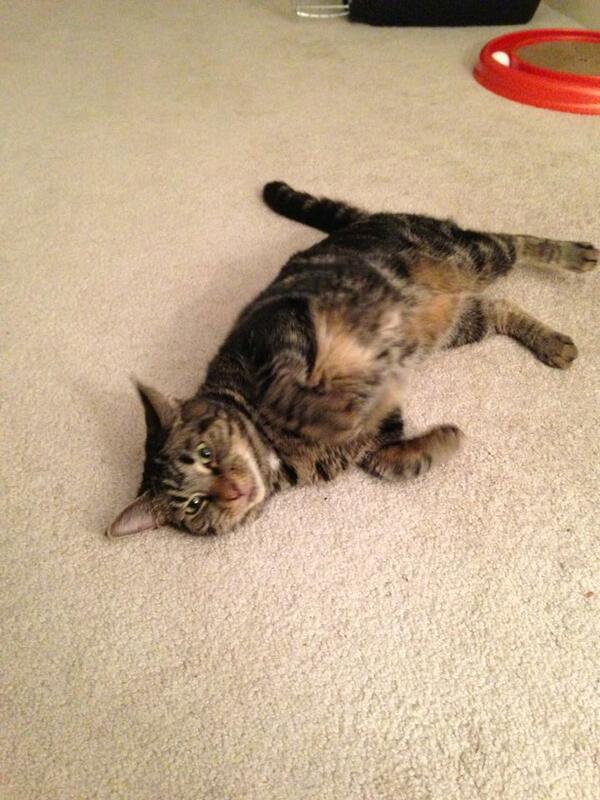 She’s a 3-year old tiger-striped tabby and we adopted her from the MSPCA in Methuen. She is cuddly and wonderful and my heart melts when she meows. I don’t necessarily recommend giving a cat to someone for Christmas, but she’s too cute not to include in my love post. What’s on your pre-holiday wish list this year? Today’s Chocolate & Wine post is a guest contribution. Chocolate and wine make a lot of sense together. Both items are certainly luxurious, but they can also lend themselves to a touch of whimsy and fun. Casinos are also getting in on this whimsical aspect; their online counterparts continue to attract a younger fan base through colorful gimmicks, enhanced interactivity and a faster-paced style of game play. What’s more, online casinos can be accessed through the latest smartphones and tablet devices, including the iPhone and Android phones. This means anybody can have their fix of mobile slots games from the comfort of their own home (or anywhere else, for that matter). Sometimes, chocolate and online casinos can also make an interesting combination. In celebration of this year’s Easter Day, pocket fruity rewarded its loyal players with a generous batch of creamy chocolate eggs every week; one lucky player even won a Samsung Galaxy Tab 2 as a special Easter gift. Perhaps the only thing that’s better than winning a huge jackpot (or a brand new gadget) from an online casino is to splurge that money on the finest chocolates and wine. However, pairing chocolate and wine isn’t easy. It’s a delicate process that requires deliberate experimentation and an assured palate. But when the right chocolate is paired with the right wine, the results can be quite pleasant. The general rule of thumb in chocolate and wine pairing is to match elegant-flavored chocolates with lighter-bodied wines; similarly, darker chocolates tend to go very well with full-bodied wines. For example, an intense, refined chocolate like the Lindt EXCELLENCE 70% Cocoa Dark Chocolate bar goes splendidly with an equally intense and fruity Cabernet Sauvignon. Much like the pairing (and tasting) of high-quality chocolates and wines, there’s no rush in playing mobile slots games in an online casino. Both activities are meant to be enjoyed and appreciated at one’s own pace. 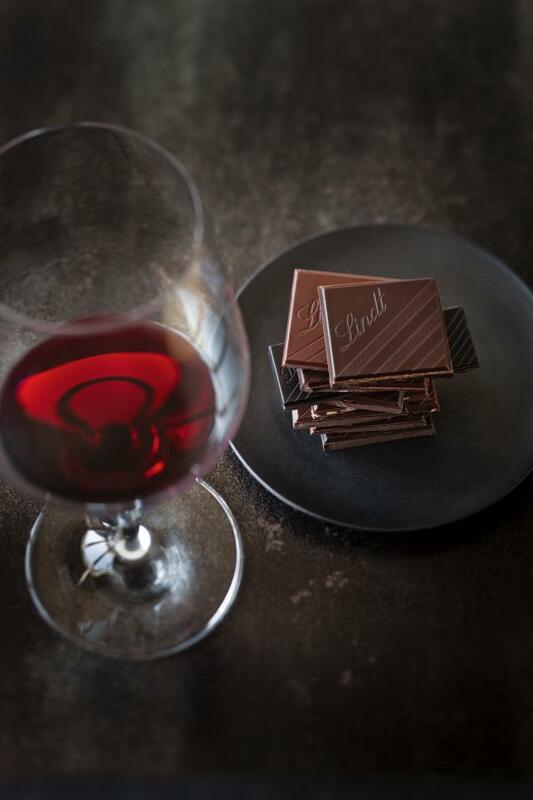 Indeed, tasting a small piece of Lindt EXCELLENCE A Touch of Sea Salt – embedded with hand-harvested Fleur de Sel sea salt crystals for a distinctly flavorful crunch – paired with a glass of earthy, smoky Pinot Noir is already a sublime experience on its own. But when it’s done to celebrate a substantial jackpot win from a particularly lucky mobile slots game? Now that’s a perfect winning moment.